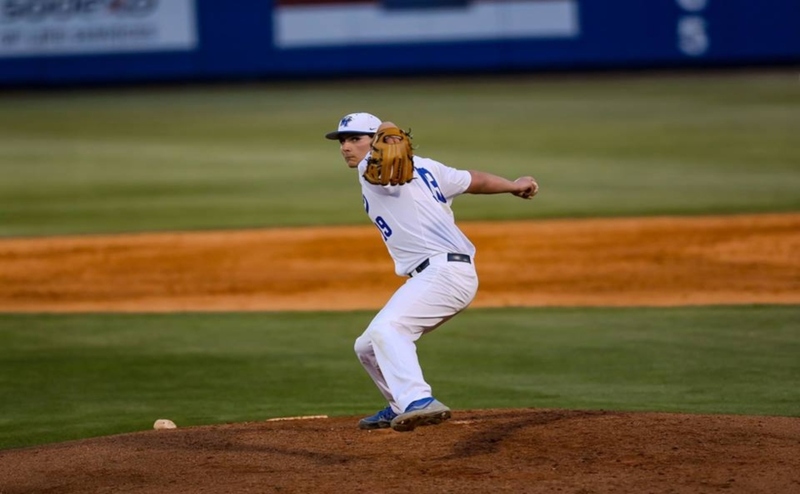 The Middle Tennessee State Blue Raiders (13-18, 7-5) hosted long-time rival Western Kentucky Hilltoppers over the weekend in a three-game series at Reese Smith Jr. Field. It was MTSU’s high-powered offense that put them over top of the Hilltoppers in a series sweep. 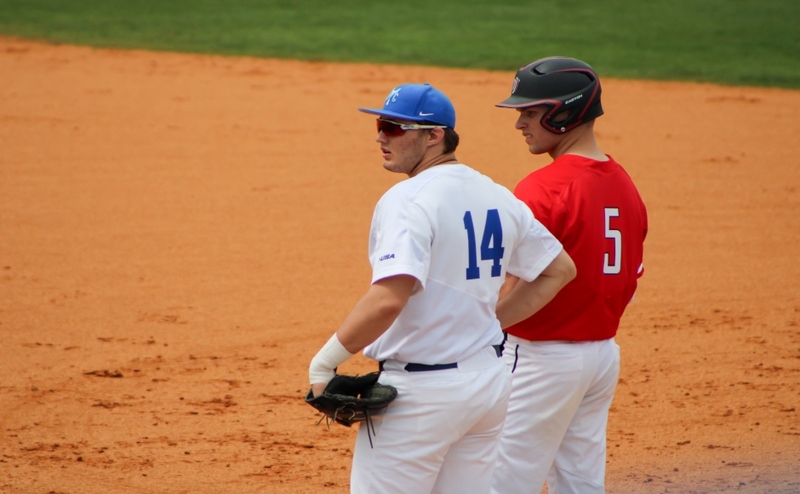 Myles Christian and Blake Benefield had impressive outings in all three games, as they led the way to three crucial victories for the Blue Raiders. The series started on Friday night, and the Blue Raiders jumped right out of the gates, claiming a dominate 13-4 victory. “These guys keep surprising me,” said head coach Jim Toman. WKU was the first to hit the scoreboard early in the first inning with two runs, both after singles, that allowed runners Richard Constantine and Jake Sanford to score. The Blue Raiders started off strong with a total of four runs in the first inning, two of which were off an impressive double from Blake Benefield. 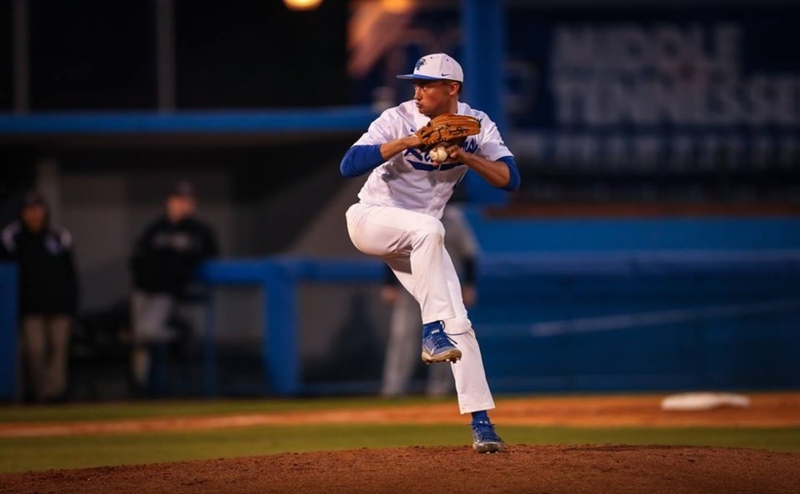 MTSU was able to quiet the Hilltoppers in the second, while the Blue Raiders picked up two more runs, one of which came after a home run from Myles Christian. Christian homered yet again in the bottom of the fifth to extend the MTSU lead and add another two runs. That brought his RBI total to four, and he wasn’t done there. 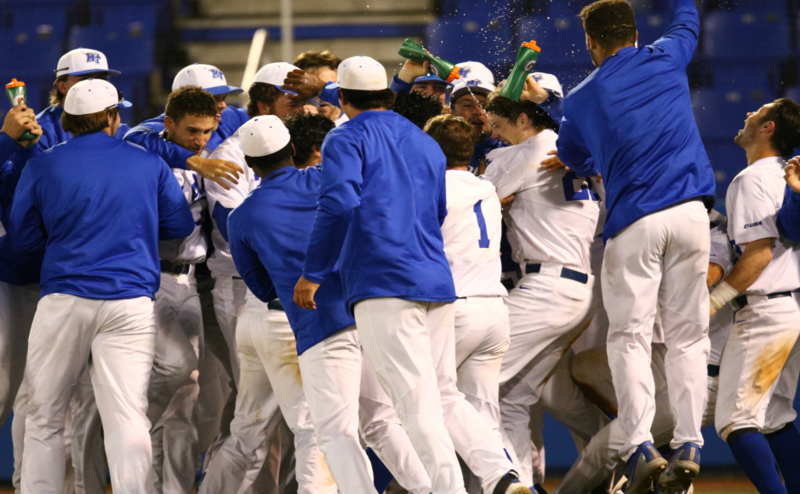 The Blue Raiders’ bats got hot, as they picked up five more runs, four of which came after an explosive grand slam from Christian, giving him seven RBIs on the night. 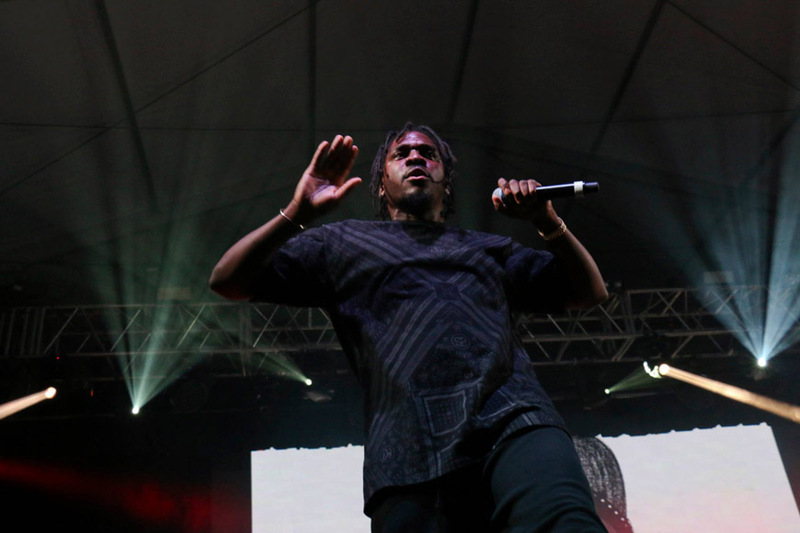 “Just waking up and knowing it’s my day felt special to me,” said Christian of his incredible performance. The Blue Raiders were too much for WKU on the night, as they cruised to victory after the top of the ninth. Game two of the series began on Saturday and saw the Blue Raiders take home another high-scoring affair over the Hilltoppers at 13-10. “It was kind of a slugfest back and forth, and we were very fortunate to end up on the winning side,” said Toman of his team’s efforts in the game. A big hit from Christian got things going for the Blue Raiders in the first inning, giving them two runs to start the game. The Blue Raiders picked up two extra runs before the inning was over. WKU started to gain momentum in the third after a base hit allowed two runners to score. The Hilltoppers were able to tie the game via a home run in the fifth. The Blue Raiders were able to take back the lead in the same inning following back-to-back homers from Benefield and Peyton Wigginton that gave them three more runs. “When you’re swinging it well, it just boosts everybody’s confidence throughout the dugout,” said Benefield, who recorded his 25th career home run. The Blue Raiders’ bats continued to heat up in the fifth as they collected four more runs before the end of the inning. The runs didn’t stop and WKU picked up five runs in the sixth inning that put them back in the game, but MTSU had another response up its sleeve and was able to pick up two runs to stay in the lead. After an absolute slugfest of a game, the Blue Raiders were able to claim victory again, giving them back-to-back wins over WKU. On Sunday, the series wrapped up with a sweep and a final Blue Raider victory on the weekend. The team was able to tie their season high with four home runs and eclipse the 10-run mark for the third time on the weekend with a 11-4 victory. “Big win. Anytime you sweep in this league, it’s really good, especially at home,” Toman said. Benefield hit a home run for the Blue Raiders in the bottom of the second to give them two runs and start things off for MTSU. The runs didn’t stop there as Brycen Thomas hit a home run of his own shortly after. “We all had a plan, we all worked hard before the game and through the week,” Benefield said. MTSU’s bats didn’t cool down with another homer from Benefield, and Aaron Antonini tallied a homer too in the next inning. WKU picked up three runs in the seventh due to errors on the Blue Raiders’ end after two quiet innings. However, a single from Wigginton allowed two runners to score for the Blue Raiders in the eighth, extending their lead to seven, and the Blue Raiders claimed their third victory of the weekend. 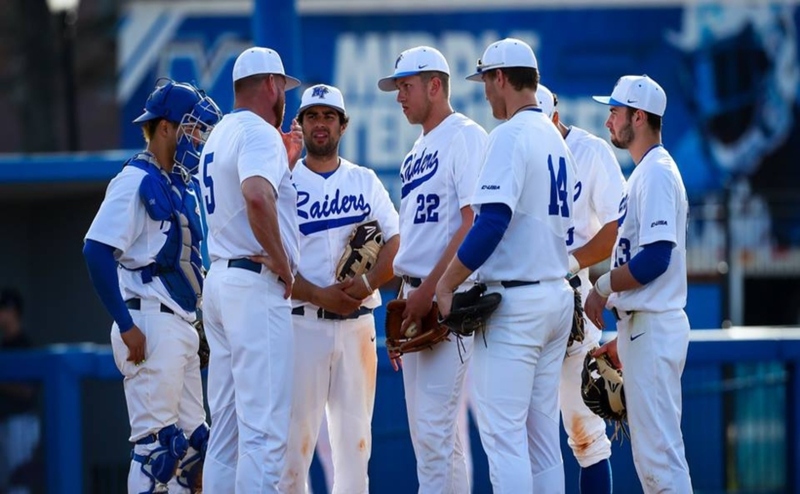 The Blue Raiders will head to Vanderbilt to take on the Commodores on Tuesday.